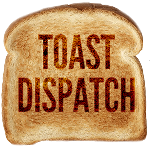 The Toast Dispatch proudly presents the ‘Toasties’, a series of awards where YOU, the fans, get to decide which Blues players are deserving of an award. Between now and April 13th, there will be different awards, each with a one week voting period, where fans will vote on which player deserves a ‘Toastie’. The 2014 Toasties are completed, see the final results below, thanks for voting everyone! Come back next year for another edition of the Toastie Fan Choice Awards! We have two big questions in the final round for you. 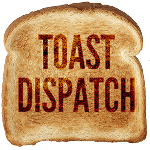 Scroll to the bottom of the page and leave your answer in the comments, or tweet us your answer on twitter at @ToastDispatch! We will announce the winners on April 13th! Thanks for taking part in the Toastie Fan Choice Awards, go Blues! BONUS QUESTION: What is the best local St. Louis parody website? What is the best local St. Louis parody website? Who is the Blues best defenseman? Who is the best forward on the Blues? Who is the Blues best goalie? RASK MAD! RASK SMASH! … Or Not. The Scottrade Center organist is Jeremy Boyer, btw.